Home » Blog » SEO » What is Web Hosting? Is There Any Free Website Hosting? What’s the Difference between Hosting and Domain? Can I Transfer My Website from One Host to Another? You’ve likely heard of web hosting. You might also know that without web hosting, a website can’t be live on the internet. However, like many others, you might not know exactly what it is. 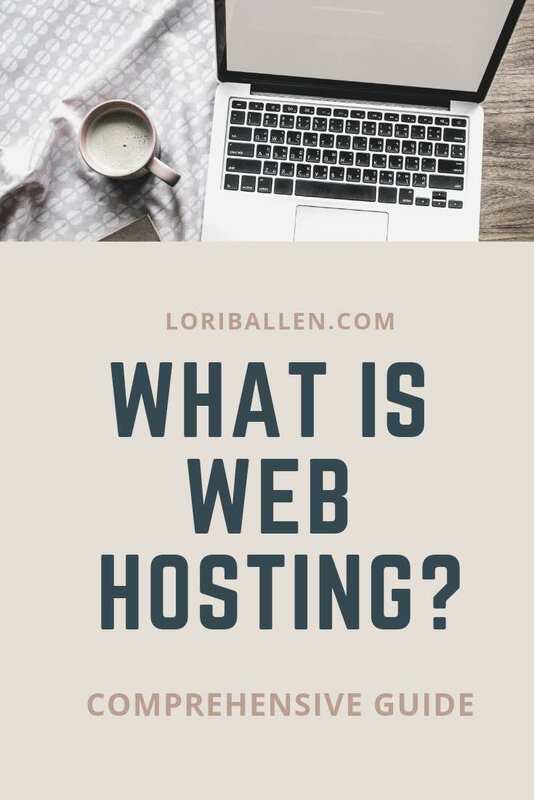 In this piece, we lay more emphasis on web hosting and the common questions about it. Web hosting refers to services that allow an individual or an organization to have a webpage or website online. Web hosting service providers, or web hosts, are businesses that offer services and technology required for your webpage or website to be accessible online. The service providers host or store your website on a computer known as a server. To access your website, internet users type the website address into their browser. The user’s computer then creates a connection with the hosting server which in turn delivers your webpages to the user’s browser. Web hosting service providers typically require you to own a domain to host your website. If you don’t have one, the provider can help you buy a domain. Some of the features that web hosts offer include email accounts, a custom domain, FTP access, and WordPress support. Web hosting services are usually available on a subscription basis. Excellent web hosting services typically offer a support team to ensure your website runs 24/7 hassle-free, allowing you to focus on your core business. Web host email is a service in which a hosting service provider stores all your website’s files and emails on a server. When internet users send an email to your domain address, the message is transmitted across the internet and stored on a host server. Server administrators then decide what action to take—ignore or reply—taking into account rerouting requests, spam filters, and blacklisted senders. The server that hosts your email can be the same one that hosts your website, a different provider’s host server, or two separate servers operated by the same hosting provider. Email hosting services may be available as a service on its own; however, the service is typically part of a bundle or package offered by a web hosting service provider. A website is a set of files including webpages and multimedia. Once you create a site, you need to store the files somewhere, and that place is a server belonging to your web hosting services provider. Here, you store your website’s databases, media, and other web resources that the website needs to render correctly. The quantity of storage attained depends on the hosting plan you buy from the provider. You can start by leasing a portion of a server that you share with other users. As your traffic and storage need to scale up, you might want to consider paying for an entire server. When you are buying a package for web hosting, you can access the provider’s server through cPanel or other solutions that make uploading your files easy. Alternatively, you can install a CMS such as WordPress to help build your site. You need to register a domain name for your website to be operational. The domain name points browsers to the servers that house your website. When an internet user clicks a link to your website or enters your domain name into the browser, it fetches your files and displays them for the user. All this happens in seconds. If it takes longer, consider speeding up your site or using a different hosting service. Developing and sustaining a website can be a bit costly, so finding a free web hosting service that meets your needs can be helpful. Be careful, though, as only a handful of free web hosting providers deliver decent value. Since the service is free, you usually don’t enjoy the perks that come with paid hosting. And in case things go awry, you’re generally on your own. Not even the most decent free web hosting services can’t measure up with the cheapest paid hosting services. Furthermore, some free web hosting providers have poor security, meaning they can’t guarantee the quality of service available with premium providers. As with most other tech services, you get what you pay for. Unless necessary, you’re better off avoiding free web hosting services altogether. A better alternative might be free website builders in case your goal is to quickly and easily get an online presence. Among the different things you need for your website to be fully functional are web hosting services and a domain name. A domain name is a unique name that identifies your website’s unique online address. The Domain Name System translates your website’s IP address into a name that humans can easily remember. Examples of domain names include google.com, havard.edu, Wikipedia.org, Dublin.ie and so on. You register a domain name with a domain registrar such as Domain.com, Bluehost and GoDaddy. Web hosting service provider is a company that offers you server space to store your website in a way that internet users can access. People often confuse domain registration services and web hosting services because they’re many providers offer both these services. You can register a domain with one company and use it at a different company offering web hosting services. On purchasing a domain, the domain registrar sets it up on parked name servers. When you sign up for hosting services from a different company, you can then change your domain name’s name servers and point it to the web host’s server. You can switch to a different web hosting provider and still keep your domain name. Even though domain name registration and web hosting are typically offered by the same companies today, these are two different services. WordPress hosting refers to hosting that is specially optimized for the security and performance needs of WordPress. It usually features one-click installs for WordPress to make getting started easy. Some WordPress hosts go as far as automatically updating your WordPress software when the need arises. The two main varieties of WordPress hosting are managed WordPress hosting and shared WordPress hosting. Shared Word Press hosts the more affordable of the two. With it, you share a WordPress-optimized server with other websites and get a one-click WordPress installer. Some shared WordPress hosts offer automatic updates for your WordPress software. Managed WordPress hosting offers all the value of shared WordPress hosting plus additional benefits including faster speeds, server-side caching, and better security and staging sites. Google doesn’t offer web hosting services. However, Google Domains provides individuals and businesses with a variety of choices for building and managing their online presence. Some of the options are as follows. Using your domain name as a custom domain for Google Sites, Blogger or Google App Engine. Using a third-party web hosting service that you can seamlessly link to from Google Domains, allowing you to use an existing account or to set up a new one. Using a different third-party web hosting service provider. Amazon Web Services (AWS) provides cloud web hosting services that offer governmental organizations, non-profits, and businesses with affordable solutions for operating their web applications and websites. Many organizations use AWS web hosting because it offers many benefits. AWS provides broad platform support, allowing you to use any of a variety of CMSs, including Drupal, WordPress, and Joomla among others. AWS has numerous data centers across the globe, meaning you can cater to customers from any location worldwide. AWS offers scalability, giving you access to infrastructure that shrinks or grows to meet your website’s needs. AWS pricing is flexible as it charges you only for the resources that you use with no long-term contracts or upfront fees. There is a wide array of aspects to consider before you buy web hosting services. However, these considerations can be less burdensome when you read reviews about the web hosting service providers you’re thinking about using. Reading reviews of web hosting services will help you understand the quality of services that the provider in question offers. In addition to that, you also learn whether the provider is trustworthy and conducts its business according to the industry’s best practices. Taking time to read reviews about web hosting services before making your final choice can make all the difference in choosing the most suitable web hosting solution for your website. This provider offers high-quality web hosting services that affordable and accessible thanks to options for dedicated, VPS and shared hosting packages. HostGator offers 24/7 customer chat and phone support as well as a 45-day money-back guarantee. The award-winning hosting service hosts 8 million domains including leading global businesses such as AT&T, Cisco, and Dell. This provider uses ten separate fiber providers and leases The Planet facilities. HostGator offers fire detection, power backups and ongoing monitoring for the security of its 12,000 servers. Just under 30 million users across the world utilize Hostinger’s affordable, stable and fast web hosting services. With only a few other providers matching its pricing, Hostinger is one of the most affordable web hosting providers. In addition to that, this provider guarantees 99 percent optimal network uptime. The service uses predictive monitoring to identify issues and handle them proactively. Hostinger’s 24/7 customer support team responds fast, typically taking less than 60 seconds to provide customers with expert assistance. 1&1 prides itself in offering next level performance and instant scalability. The provider also sets itself apart with speedy PHP 7.1 and HTTP/2 as well as formidable security with DDoS protection, SSL certificate, and geo-redundancy. Pricing is transparent and fair, with feature and price information visible on the site from the outset. Hosting packages come with a 30-day money-back guarantee in case you are unsatisfied with the service. Moreover, 1&1 datacenters are verified with a TUV Nord ISO-27001:2013 certification. A flywheel is a fast-growing provider specializing in WordPress hosting. The provider caters to seasoned agencies, developers and designers, delivering a top-tier robust hosting experience. It’s more than just aesthetics with Flywheel. The service caters to experienced users who appreciate the value of a technology stack that specially designed for hosting the leading global CMS: WordPress. This provider has carved a niche in managed WordPress services, so no domain services, email hosting, built-in e-commerce tools or website builder. The service deploys virtual private servers (VPS) to its users and provides them with full security, stability, and computing resources. Kinsta provides speedy managed WordPress hosting that comes with remarkable uptime levels and the capacity to accommodate multiple users simultaneously. Additionally, you get other great features, such as an intuitive staging environment, security monitoring, and automatic website backups. The provider’s 24/7 live chat support staff are incredibly prompt and helpful. Even though it’s a bit pricey at a $30/mo starting price, you get value for your investment. If you need a highly reliable and speedy Word Press host, Kinsta is a solid option. GoDaddy offers a variety of secure, reliable and speedy web hosting solutions including shared hosting, WordPress hosting, business hosting, VPS hosting and dedicated servers.